Obituary Notice for Joey L. (Bedford) Herman | Pepper Funeral Homes & Cremation Facility, Inc.
Joey (Bedford) Herman, 90, life-long resident of Canton, Pa. went home to her Lord Jesus on Friday April 5, 2019 from the Bradford County Manor. Joey Louise Bedford was born July 7, 1928, in Sayre, Pa., the last surviving child in the family of the late Charles and Hazel (Rodgers) Bedford. She grew up on the family’s dairy farm in the center of the village of East Canton and attended school at East Canton Grade School through Canton High, Class of 1946 and was a 1950 graduate of Mansfield State College. In the East Canton United Methodist Church, while dressed in the wedding dress she hand-made, Joey married the love of her life and best friend, Frank Herman, Jr. The Hermans shared 43 blessed years together of which Joey admitted, “were too short of years”. Frank passed away unexpectedly on Jan. 29, 1992. Joey found her calling nurturing young children as a Kindergarten Teacher with Towanda Area School District for 26 years. 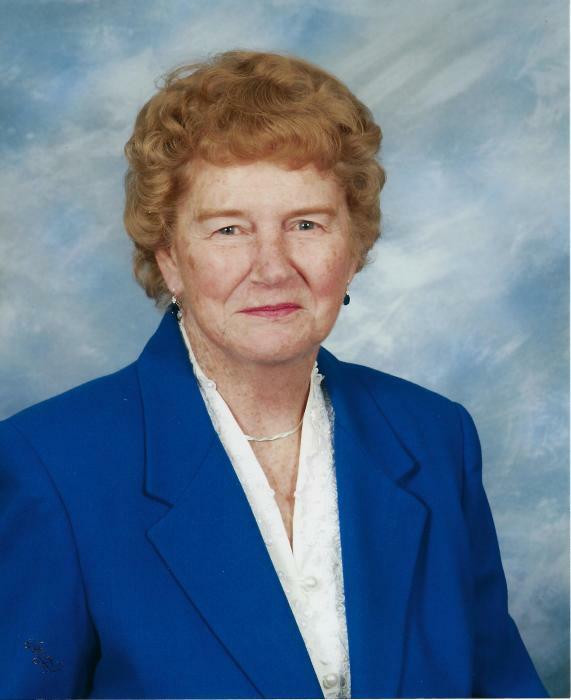 She also was a devoted member of the East Canton United Methodist Church her entire life. She possessed a strong faith in the Lord’s word and taught Sunday school and Bible study classes in the church as well as in her home for years. When the Head Start Education Program began, Joey taught in Ralston for two summers. She was also a member of the National Education Association and the Pennsylvania School Retirees. Joey had many hobbies and interests in life but most importantly, children always came first. She enjoyed reading, sewing, canning and freezing vegetables from the garden, Country and Western and Gospel music. She was a talented cook and baker, cooking large meals for her family, friends and the farm help. Blessed with a witty sense of humor, Joey loved to laugh. Frank and Joey also loved to square dance. Surviving Joey are her children; two sons and daughters in law, Mike and Jean (McMahon) Herman and Al and Mary (Olson) Herman, all of Canton; two daughters and sons in law, Diane and Wally Knox, of Rochester, Ny. and Wanda and Ron Westerman of Santa Barbara, Ca. Also 12 grandchildren, eight great grandchildren and several nieces, nephews, cousins, many dear friends and neighbors. In addition to her husband Frank, Joey is predeceased by three siblings; Erdean Brown, Dean Bedford and Jack Bedford; sister-in-law, Jane (Leo) Kelly, as well as several nieces, nephews, cousins and college friends. The Family will receive friends 5 to7 p.m. Monday at Pepper Funeral Home & Cremation Facility, 578 Springbrook Dr., Canton and also Tuesday, Apr. 9, 10 to 11 a.m. at the East Canton U.M. Church. A celebration of Joey’s life will follow with Pastor Michele Somerville officiating. A private family burial will be in East Canton Cemetery. In lieu of flowers, the family ask you consider a donation in Mrs. Herman’s memory to the East Canton U.M. Church’s Mission or Memorial Fund, 5791 Rt. 414, Canton, Pa 17724.